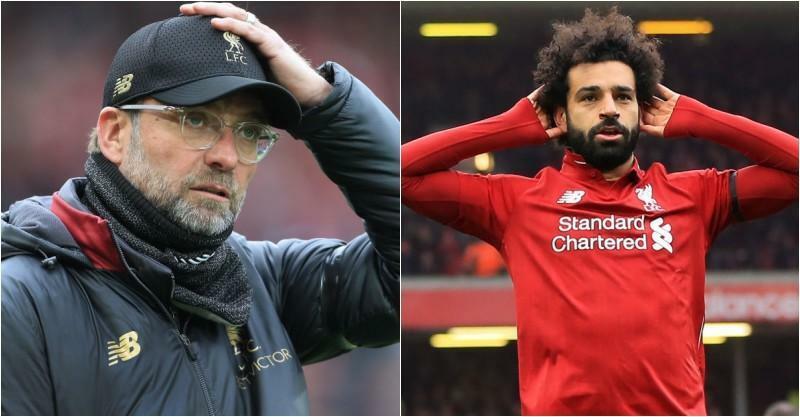 The Spanish press are incredibly claiming Mohamed Salah is demanding a transfer out of the club after a furious row with Liverpool boss Jurgen Klopp. Reports in Spain are claiming the Reds are willing to sell their Egyptian superstar, 26, but have talked him out of handing in an official transfer request. Salah has been in superb form ever since joining the Anfield side in the summer of 2017 – and the news is likely to shock Liverpool fans. Highly-respected Spanish outlet AS are the ones suggesting Salah and Klopp have come to blows. They go on to say the argument is so fierce, the former Chelsea and Roma star has demanded a summer move away from Anfield. Liverpool bosses managed to talk Salah out of handing in an official transfer request, claim AS. However, there will be speculation the report is a stunt in a bid to unsettle Salah ahead of a potentially pivotal summer, despite AS’ solid reputation. Barcelona and Real Madrid are famous for following seven steps in order to seal a mega-money transfer. After identifying their target and schmoozing them with their celebrity former stars, the two La Liga giants will almost always use the press to unsettle the target. AS is just one of those outlets to pitch in – along with Marca and Sport – with the papers using similar tactics recently regarding Sadio Mane, Marcus Rashford and Eden Hazard. However, this Salah revelation comes truly out of left-field, with the winger looking more than happy at Anfield in public. The Egypt international scored a screamer as Liverpool beat Chelsea 2-0 in their last game and has looked back to his best in recent weeks after a mini loss of form. Salah clinched the Premier League Golden Boot in his first season at the Reds with 32 goals in 36 Premier League games in 2017-18, to go with 19 top-flight strikes this term.